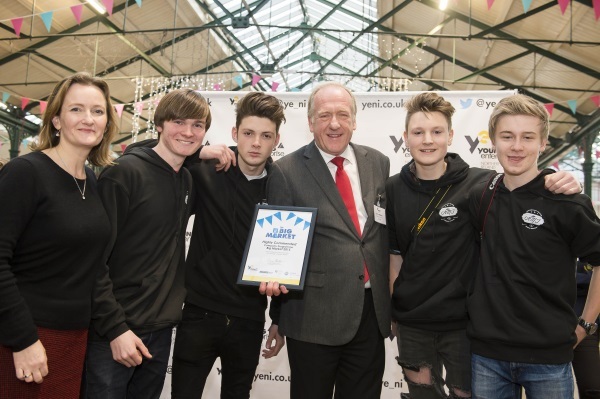 Alliance Councillor Gavin Walker was thrilled to be able to present the runners up award to the Bangor Academy team who competed with some of Northern Ireland’s leading young entrepreneurs at the Young Enterprise Big Market event at St George’s Market in Belfast. The Big Market hosted more than 60 businesses, all started by young people aged between 10 and 25 years. More than 700 young people from across Northern Ireland descended on St George’s Market to set up shop and sell their products to the public. But the highlight of the day was the presentation of the hard-fought for Awards and Gavin Walker, managing director of Business First Magazine – media partner for the Awards – was thrilled to welcome local winners on the stage. “The Bangor Academy Young Enterprise team had the brilliant idea of taking old scratched records and shaping them into fruit bowls and table mats – a real live example of upcycling at work,” Gavin explained. “And as they sold out of everything on their stall, they’ve definitely found a profitable niche market. The team – who’s company is called Another Man’s Treasure – was mentored by Ards and North Down Councillor Alan Leslie. 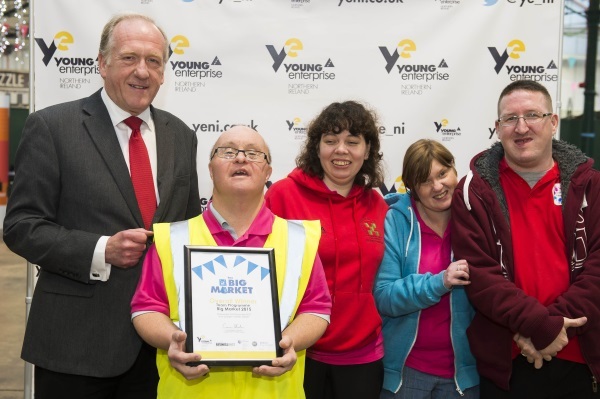 Young Enterprise NI is supported by the Department of Education, and donations from local businesses.